It is your responsibility to pay your rent on time. Failing to pay your rent means you have seriously broken your tenancy agreement. We’re here to help if you’re having problems paying. If you cannot pay your rent you should contact us straight away. If you are behind with your rent and having difficulties paying, we advise the following three steps. 1. Think and make an active choice to contact us. Doing nothing about your rent arrears puts your home at risk. Our landlords will take action against you if you do not pay your rent. 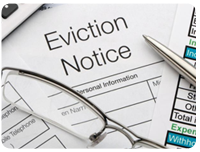 Evictions take place all year round. We don’t want it to happen to you. 2. Act – Doing nothing is not an option. Get in touch with us by calling 020 8649 8784; we want to help you. We can offer debt and benefit advice, and agree a rent payment plan to help you to pay. By speaking to us you will save yourself a lot of worry. 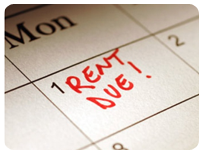 We can help you find a way to pay and stick to agreed rent payments. Our over-riding aim is to help you keep your home. Eviction is always a last resort. However, if you do fall into arrears and make no attempt to clear the debt our landlords may take legal action against you. This could eventually result in you losing your home. What happens if I do get into arrears? We’ll contact you when you miss a rent payment to tell you the amount you owe. If you receive a letter, please read it carefully. Contact us straight away to arrange to pay the arrears. If we don’t hear from you and you don’t make a payment, we’ll move through the stages of our arrears policy. If arrears are less than £ 200 we will remind you to pay your rent as you are obliged to do. If you do not clear the rent arrears or make formal arrangement to reduce your arrears then the landlords may not renew your tenancy and you may be at risk of losing your home. For larger arrears – More than £ 200 we will request you to visit our offices to discuss the arrears and arrange an affordable payment plan to help you pay off the arrears over an agreed period of time. If it is unlikely that the debt is going to be cleared quickly, it is likely the landlords will serve you with appropriate legal notice warning you of the intended eviction. At this stage we will also contact the Council and inform them of the rent arrears and request them to pay the rent directly to us in case the local housing allowance has been paid to you. If an arrangement to clear or reduce the rent arrears is still not made, or you make an agreement and subsequently break this we will serve the appropriate legal notices to formally start the eviction process. This could mean we take you to court. You could even be evicted from your home. It’s important to remember if you’re evicted, you must still pay back any money you owe. Citizens Advice – A service to help people sort out their legal, money and other problems by providing free, independent and confidential advice. If you get into rent arrears and fail to clear the debt or come to an agreement acceptable to us, our landlords have the right to take you to court and seek eviction. The steps to eviction are given below and are used as a last resort. 1. You will receive a Notice of Seeking /Requiring Possession or a Notice to Quit. 2. If you do not repay the debt you will receive a possession summons giving a date for a hearing at the county court. 3. If the debt is not cleared in full then the court can either make an Outright Order or Suspended Possession Order, if you do not repay the debt after a Suspended Order you will receive a Warrant of Possession with an eviction date. You should contact us straight away if you get into arrears. The figures and actions in respect of the rent recovery process represent a rough guide as to the procedure the landlords will follow. Different processes may be used by the landlords. Please note the landlords may pursue Court Action even in cases where the level of rent arrears is lower but persistent.